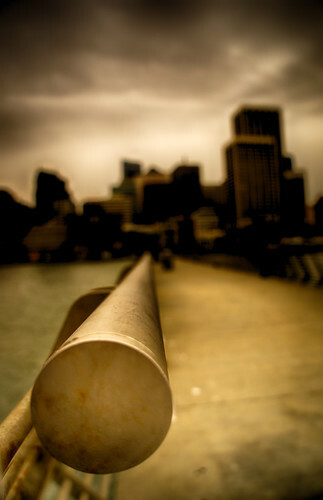 City of Gold and Lead, a photo by ericwagner on Flickr. With pretty magic rectangles in their tentacles the aliens have arrived with promises of golden fortunes, but only leaden dreams await. In this invasion the assimilation is chosen gladly by those who can afford, and the war of freedom is fought human on human and not with the sky. San Francisco à la John Christopher and my own imagination. This entry was posted in Uncategorized on March 7, 2014 by eric.